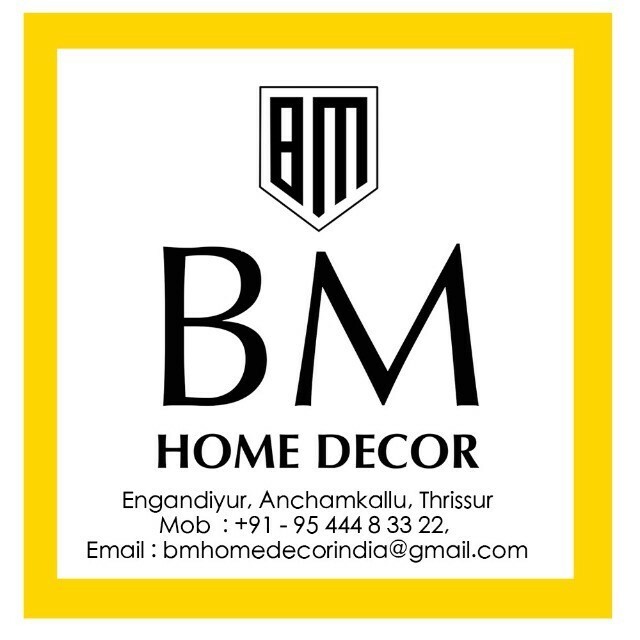 Extracting attribute values to form a table or text file is an excellent application for data extraction and is useful for creating coordinate tables, bills of materials, schedules, and associated lists. The data is already available, so you can add it to a table or text file without having to retype the information. 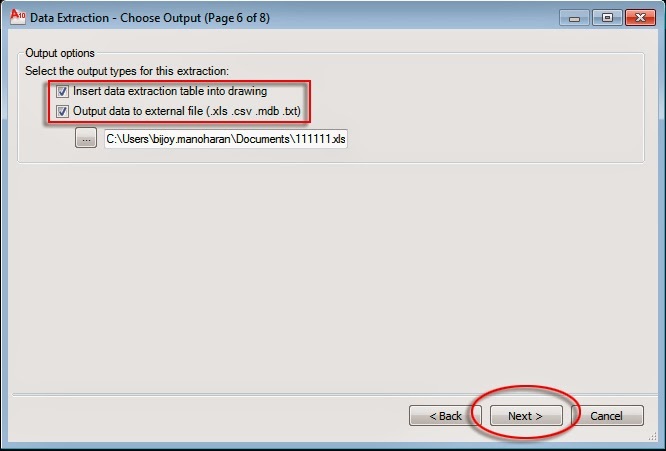 Extracted data is also associated with the table or text file. 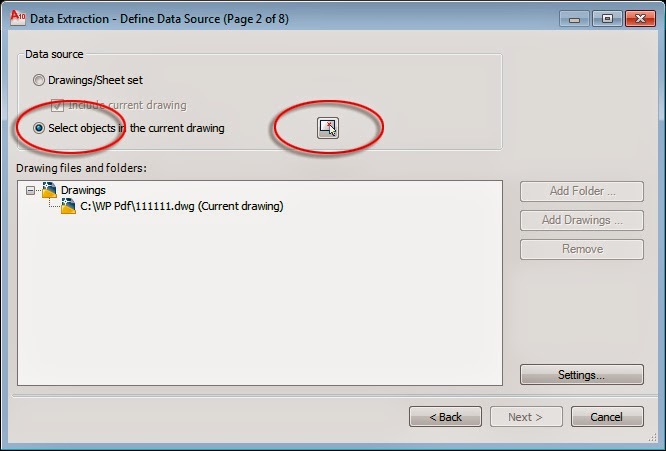 As a result, when you make changes to the extracted data in the drawing, the corresponding information in the table or text file updates. 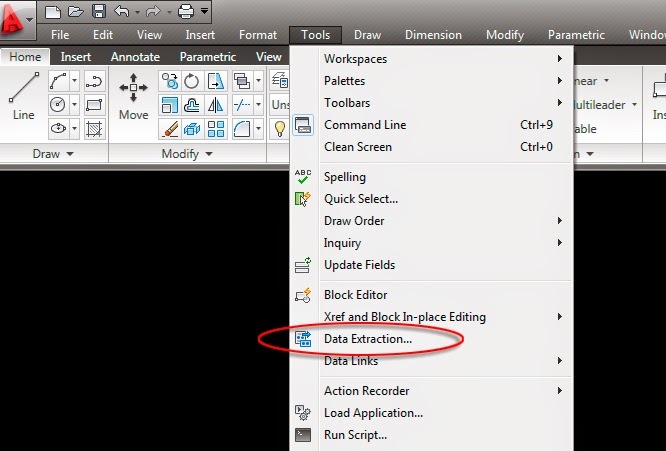 From tool drop down menu select “data extraction”. 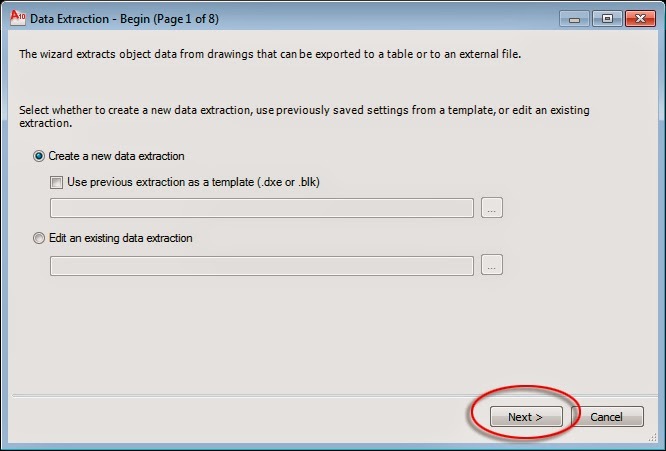 In data extraction dialogue box click “next”. 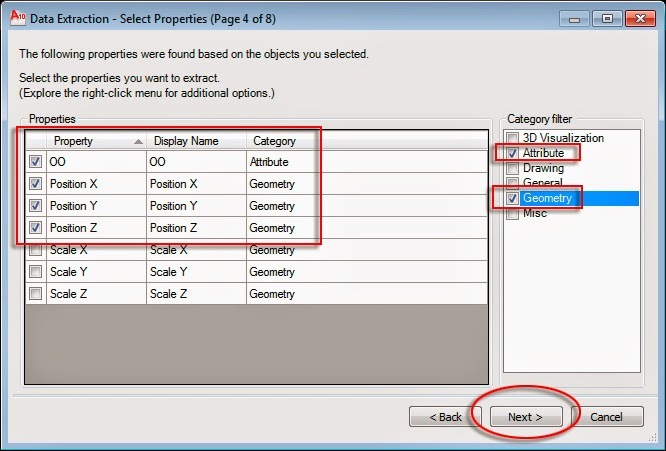 Click select object button and select attribute blocks then click “Next”. 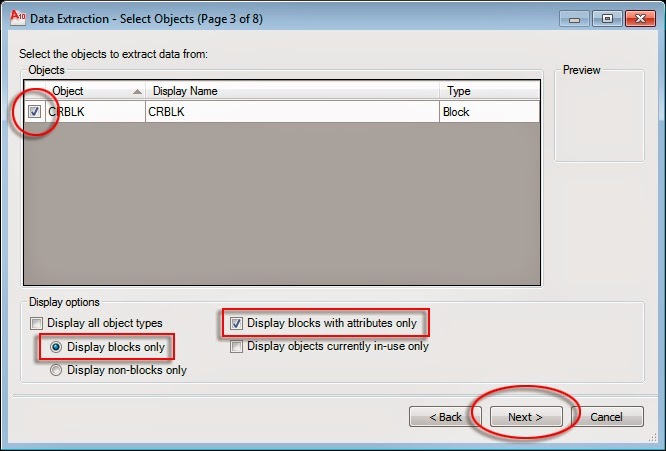 Untick all expect block name and display blocks with attribute only then click “Next”. Tick only “Attribute” and “geometry” in “category Filter” tab and untick scale x ,y ,z in properties tab then click “next”. 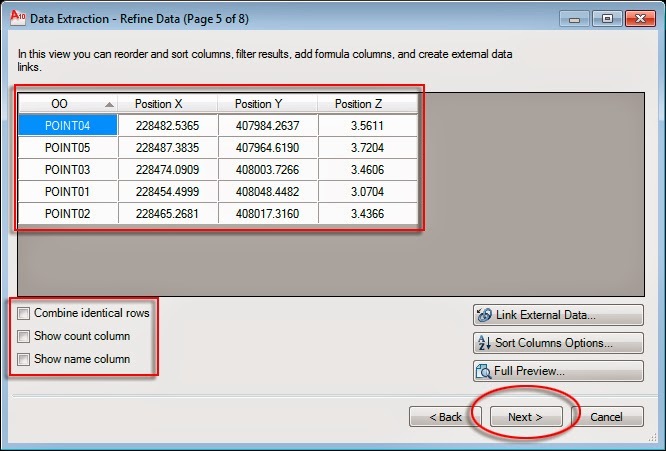 Click output data for excel file and insert data extraction for linked autoCAD Table format. 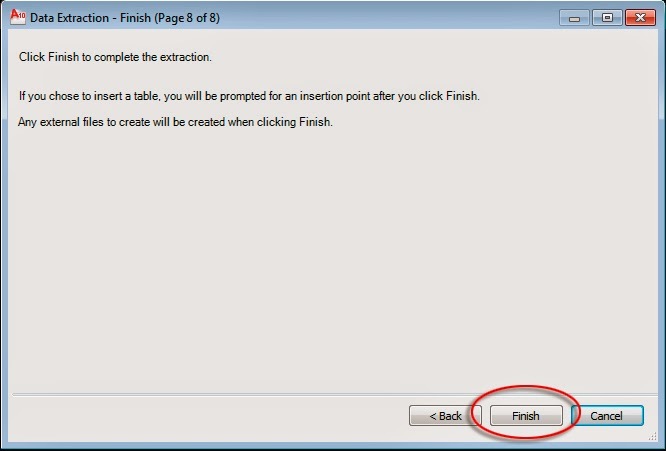 After clicking finish you will be prompted to show the point where the AutoCAD table to be inserted and Excel file will be saved on your documents folder. Note: Datas are saved on .dxe file and any changes to attribute will be updated to the tables by right clicking on the table and select update data. Update wont work if the .dxe file deleted. Please can you give me a guidance how to develop lisp for data extraction. 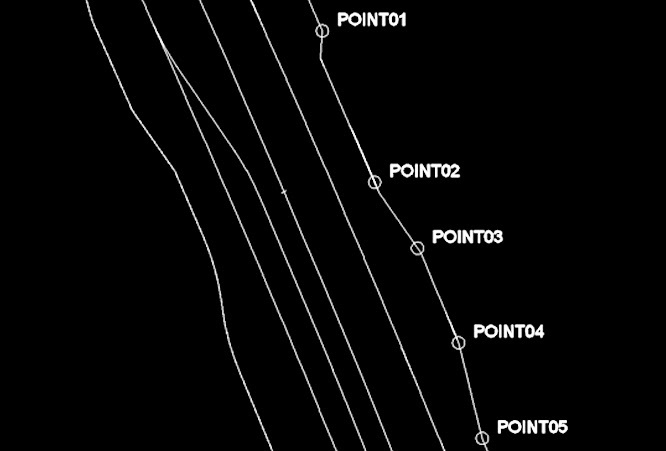 I have a lot of drawing to extract data from and I would really like to automate it. 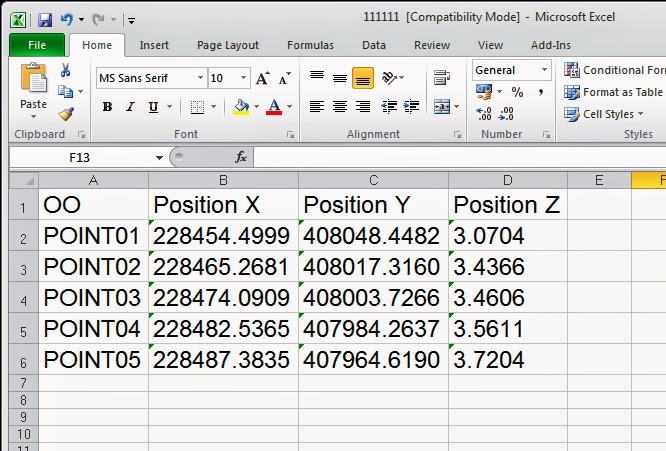 Do you have lisp program for copy the block attribute value to current excel cell by picking on the particular block attribute line.